So you have a great idea for a book. You’ve done some character sketches. You know where the story is going. The only thing that’s left, apart from the writing, is to decide where to set your book. Your hometown? No, too many people know you there. 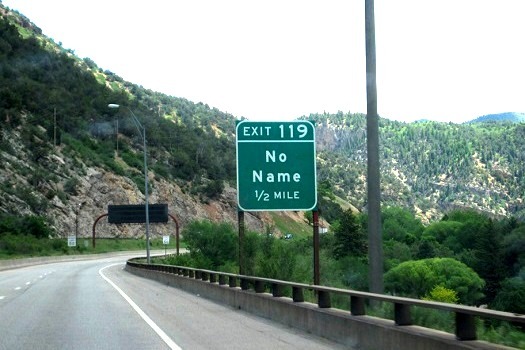 That little town where you went on vacation last year? You loved the soda shop, the green grocer’s on the corner, the barber with the cool twirling red, white, and blue sign. And what about the man at the post office? All the stories he told you about bank robbers and--wait a second. Was the main street through town called Main Street? Too boring. You want a street name that goes with the title of your book. Something more literary, more foreshadowing. But wait a minute. Maybe not. Maybe that town is perfect. Except for the Main Street thing. And the fact that Pelican Lane--perfectly aligned with your book’s character arc, by the way--runs the wrong direction. Simple. Do what you do best. Make up a town. Sure, draw from this town that you liked so well. But give it a new name. And while you’re at it, maybe it needs to be in another state. I choose to set all my books in fictional towns for a couple of reasons. I don’t want to be constrained by what a real setting would be, and I like to make things up. Blame it on the writer in me. I look at my book and my title and come up with something that goes with it. For example, in my latest Carly Turnquist mystery, Five and Twenty Blackbirds, Carly and Mike are at Mike’s college reunion in Raven Valley, AZ. The college team mascot is a blackbird, so Raven Valley was pretty close. I checked to make sure there wasn’t a Raven Valley, AZ by searching on the Internet. I looked at towns near my desired setting and saw how they were laid out. I did this by some actual visits to the area, and you can also go on Google Maps and look at the Earth View of addresses in the real town. So go ahead. Put on your thinking cap. And make up a town. Or a city. Or an entire world. 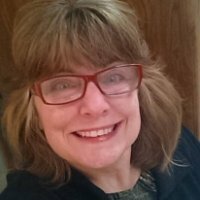 Leeann Betts writes contemporary suspense, while her real-life persona, Donna Schlachter, pens historical suspense. No Accounting for Murder and There Was a Crooked Man, books 1 and 2 in her By the Numbers series, released in the fall of 2015. Book 3, Unbalanced, released in January. Book 4, Five and Twenty Blackbirds, is released in April, with more planned for later dates. If you like accountants or are an accountant, check out Counting the Days: a 21-day devotional for accountants, bookkeepers, and financial folk. 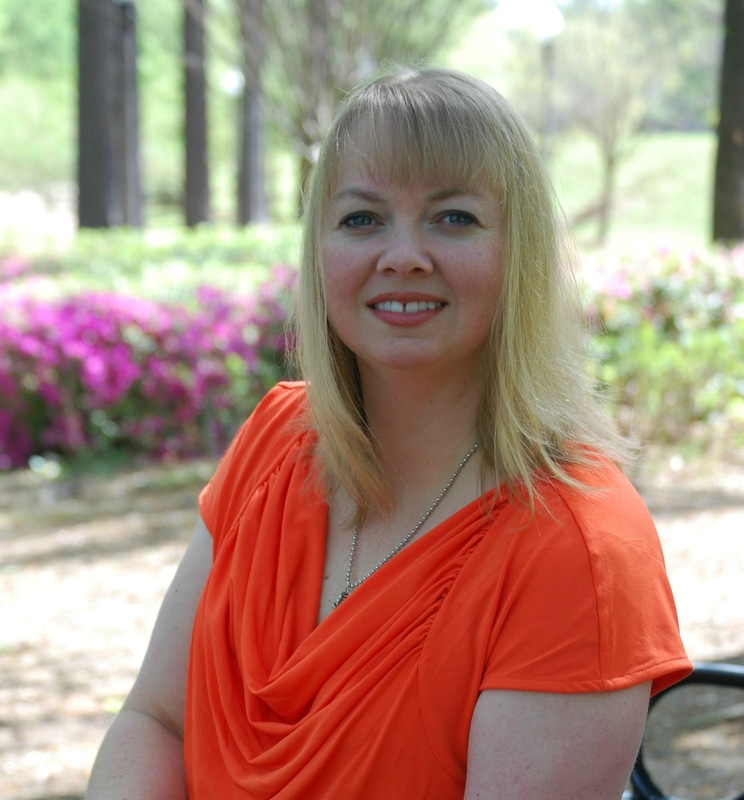 Leeann and Donna have penned a book on writing, Nuggets of Writing Gold, and Donna has published a book of short stories, Second Chances and Second Cups. You can follow Leeann at www.AllBettsAreOff.wordpress.com and Donna at www.HiStoryThruTheAges.wordpress.com All books are available at Amazon.com in digital and print, and at Smashwords.com in digital. 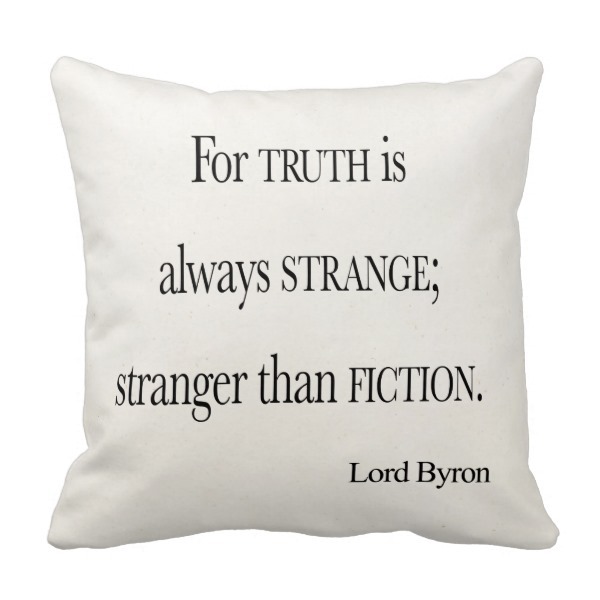 As Lord Byron said, "Truth is always strange; stranger than fiction." 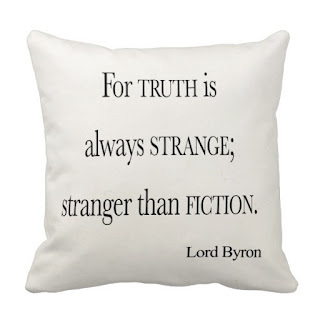 So, is fiction just shades of an author's truth? I came up with this question as a result of an article that floated through my Facebook newsfeed last week. It caught my eye because of the title from New York Magazine, "The Real-Life Gone Girl Is 80, and still terrifying." 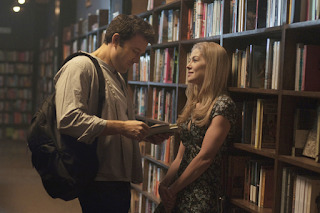 The New York Best Selling novel "Gone Girl" expanded to a film was an unusual psychological thriller. It was masterful in how it took the reader through the story from the perspectives of the two protagonists. It is a story that stays with you because what you think you know isn't at all as it appears, much like real life. A psychological thriller has all the bells and whistles of a thriller. It layers the characters emotional unstable psychological makeup, ultimately driving the plot. As an author of fiction, you can take a true story and make it your own. Use the basis of the facts and weave into your unique book. Your characters will develop an obvious and not so obvious tormented relationships complete with moral ambiguities for your protagonists. Don't forget to develop pathological tendencies in your protagonists. In a recent interview with The Hollywood Reporter, Gillian Flynn author of Gone Girl, states, "My interest is in turning over a rock and seeing what's underneath. It's a personality trait more than anything; it's what made me want to become a crime reporter, even though I was not suited for it personality-wise. [I wanted to explore] those bursts of violence, where they come from and how they unite people together. I wanted to figure out what drives people to these sorts of extremes." Flynn admitted in the same interview to including truth in her book, "I certainly put some of that in the story line. I was a Missouri kid in New York working at my dream magazine and got laid off and had to figure out what to do with my life next. I did have more time to write; [Gone Girl] was the first of the three books that I wrote while I didn't have a day job. 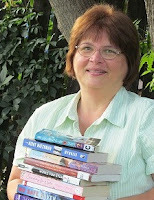 I think it let me overwrite -- I probably wrote two books and had to chop it back to one." So yes, when you come across a true story consider taking bits of the truth and turning it into an unforgettable psychological thriller book. Incorporate elements of mystery, drama, action and psychological horror. Who knows? You may have a best seller on your hands. Writing for publication was nothing new to me. I had been writing for publication since my first submission was accepted in February 1981. 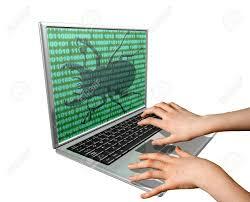 With that first published article, I had caught the “bug,” and I wrote and submitted prolifically. But I went through a long period of rejection until I learned better how and where to submit my work. Then the acceptances resumed, slowly at first but then more steadily. Meanwhile, I transitioned from teaching (junior high/high school history and writing) to editing, all the while continuing to submit articles. Many of them were accepted and published. But when a full-time job writing secondary-level history textbooks opened, I grabbed it and began studying and writing history as I’d never done before. But during the next eleven years, I noticed that my writing skills were deteriorating because I was not really writing but rather merely revising and tweaking what other writers had already written. I found myself administratively restricted from having meaningful input to content and presentation despite my educational background and teaching and writing experience. I began using some of my research time to pursue a special interest in Southern history. On August 31, 2015, I left textbook “writing” to resume independent editing and writing, thinking that it would also be a way of easing into semiretirement. The first two weeks surpassed my wildest expectations. On my first day “on my own,” I queried a magazine I had written for nineteen years earlier. The editor replied within the hour. He remembered not only me but also the earlier article, gave me the go-ahead on my proposal, and eventually accepted the resulting article. It was subsequently published in the December 2015 issue of Blue Ridge Country. That first day, I also studied my options for a book based on the research I had been doing for the previous four or five years. I ranked various publishers according to the types of books they published, the ratio of books published to submissions received, the percentage of books by new authors, royalty rates, and other factors. After narrowing the field to two publishers, I submitted simultaneously identical book queries. I expected to wait at least a couple of months before hearing from either of them. Within an hour, however, one publisher replied. He was interested in my idea and wanted me to send a full proposal package, including the first three chapters. Thankfully, I already had the bulk of the manuscript written, so I began putting together the rest of the package, including a market survey and explanations of why my book was needed and why I was the one to write it. By the end of the day, I received a similar reply from the second publisher. I duplicated the original proposal package, tweaking it a bit to fit the second publisher, and mailed both packages. During the second week on my own, I got a reply from the first book publisher. He was ready to offer me a contract as soon as I could give him a firm date by which I could deliver the completed manuscript package, including all photos and text permissions. Since I had much of the manuscript written already, I tried to be optimistic while at the same time leaving myself “wiggle room” in case anything went wrong. I had no idea how long it would take to acquire photos and permissions. I said that I thought I could finish the project by December 15. By the end of that week, I had a contract with December 31 as the delivery date. I immediately set out to make—or beat—that deadline. It involved more work than I expected. I not only had to proof what I had already written, finish writing to fill gaps I had left because of a lack of information, and fact check everything, but also locate photographs and obtain permission to use them and any text excerpts. I finally finished and delivered the completed manuscript package on November 17, 2015. The publisher immediately began design and editorial work, and I’ve tried to respond quickly to questions from the marketing department as it puts together a promotional campaign for the book. I continue to educate myself on how best to build and expand my author’s platform. I’m still a newbie, but McFarland Publishing has included my first book, Confederate Cabinet Departments and Secretaries, in their Spring 2016 catalog. Meanwhile, I continue to submit articles and have even begun thinking about what my next book will be. Are You Worried about Promoting and Marketing Your Book? Many people wind up worrying or worse, becoming overwhelmed with the aspects of marketing and promoting their books, especially if they don’t have a marketing background. They may feel the secret eludes them. Right here –– I want to tell you there is a word that describes how the mind must function and master this ability in order to succeed––focus. One must have the image ingrained in their minds, defined with clear edges and contrast. What you focus on and concentrate on, you will draw towards you. This focus should start as you are writing your book. What better time to know your target customer for this book than when you are in the developing stages of the story. Without the full understanding of this, you probably risk missing your targets. So instead of your book sales focused on your target customer market you wind up using a shot-gunning method –– like throwing spaghetti up against the wall and seeing what sticks. Okay, I know that was a bad description but you will remember it. You see, you own the book; you are the President of the book. You are the Manager of Development when you are writing the book. Then there is the title of Director of Marketing –– also a most important job. The Director of Marketing develops the marketing strategy by studying trends, identifying customers and what the customer needs. Whom will you market your book to? What book/genre similar to yours is selling and where. What kind of customers want to buy the type of book you are writing? Who is the target audience for these different books/movies? Star Wars, Zootopia and Miracles from Heaven. Think about it. If there is an author, your writing is similar to check out their reviews on Amazon.com. What are customers saying about their books? Go to the bookstore, strike up a conversation with a sales clerk, and ask them how that writer’s books are selling. You will be surprised what you can learn. Talk with the sales clerks at the bookstores. Ask them what author in that particular genre is selling the most books. Then google the authors, read about them; go to Amazon.com and read their reviews. Check out their Facebook pages, what are the comments you see. You may have to do this several times, but eventually you will see pattern developing in your mind. Authors wear many hats. All are important. Each has its own job description. But if we work at it, day by day, we can become the author selling the books. Keep your posts short and interesting. Nowadays, people scrolling through their news feeds have short attention spans and hardly ever read long text posts so make sure the posts are engaging and straight to the point. Include colorful pictures that pique the interests of the visitors. Be particular with the profile picture and cover photo. These are the first things a new visitor will see on your Facebook page. In addition to the pinned post, this will help build a good impression to new users. Bright colors immediately grab the attention of the people when they scroll the timeline. 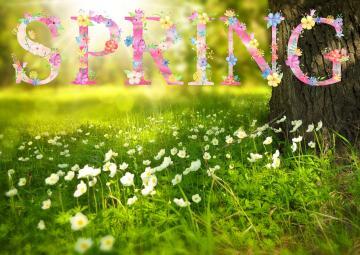 Posting the related text in picture format would also help project your message in a visual way. Witty and funny posts are likely to get Facebook Likes and Shares and will cause new visitors to check out your page and potentially subscribe to it, increasing your Facebook followers. Each time a user shares any of the content on your page, exposes your page to other users from the sharer’s friend list, which is good for publicity. Sharing and relating trending posts to the subject matter is also a way of using popular topics to draw more attention to your Facebook page. As these posts have a huge number of views and hits every day, capitalize on their popularity by relating these posts to your content. 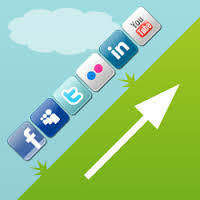 The rise of social media revolutionized the industry of sale, marketing, and advertisement. People’s lifestyle nowadays involves varying use of websites and applications such as Facebook, Twitter, and Instagram. Social networking sites enable billions of users worldwide to connect with each other, which makes it easy for marketing strategies to reach their targeted potential consumers. Facebook, in particular, allows people to create their own official page and provide other details about his or her written works or a teaser the latest book in order to pique the interests of the page’s visitors. It works especially if they are able to get more Facebook Likes. 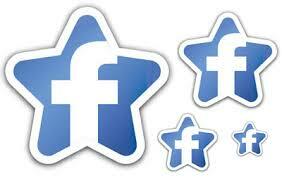 Each like on a given Facebook page increases the chance of inviting more Facebook followers. Every viral post and every trending topic is an opportunity to get the attention of the many users. If the post is interesting, FB users and page followers may also try to share it and plug the company’s Facebook page whenever we can. To make this possible, adequateFacebook management is necessary. Social media managers are needed to handle Facebook pages, including their content. Use mobile applications to promote your advertisements. Many free applications allow advertisements to appear whenever people use them. Since many people use the internet on their mobile devices like smartphones and tablets, getting ads on these apps will help more users come across your page. 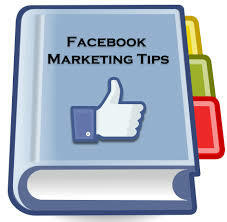 Encourage people to like and share your Facebook page during events. Step up your Facebook management game. Whenever there is a book-signing event or something similar, make sure to promote your Facebook page. Post the pictures of these events to create a buzz on social media. Getting the current fans to help promote the author and his page is perfect for publicity. Advertise on other frequently visited websites such as Twitter, Instagram, and YouTube. Doing this will increase your audience greatly. If you have accounts on the aforementioned websites, linking them all together will increase the publicity of the Facebook page. Study the behavior of consumer demand and have a specific target audience. Consumer trends and behavior is very important when advertising and the same concepts apply here. This will help you connect and relate to your target users. Establish a nurturing connection to your audience. Once you have gotten their attention, make sure you keep it! This is done by updating your page regularly with engaging posts and rewarding loyalty to make sure the people you have will stay. Part Two of Sheena's blog will appear on Monday, April 25, 2016. Author Michael Hicks Thompson recently had a book signing for his latest work, The Rector, A Christian Murder Mystery. There is a lot of excitement around Thompson’s latest work. The Rector was chosen by the Beverly Hills Book Awards as a Finalist. The signing was at The Booksellers of Laurelwood in Memphis TN. 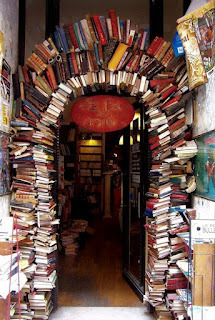 Booksellers is one of those meccas for authors and readers alike. It is a great venue for authors to introduce their work. Book signings can do many things for an author. Many of which I saw at Thompson’s book signing. 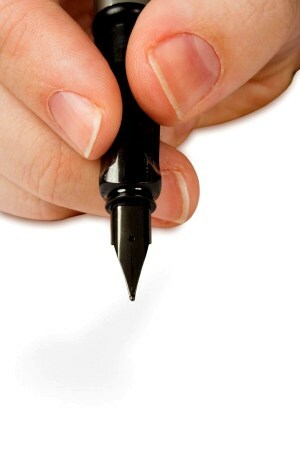 Let’s look at a few very important points of a book signing. Personal contact with your readers. Readers love to meet the author. Book signings give readers an opportunity to meet their heroes, the ones that gave life to their favorite characters. Everyone wants to know the author and this gives the readers personal time with them. When given a chance readers will express their fondness of the author and his talent. It builds a bond between the author and reader that could last for years. · Book sales. I must say I have bought a book simply because the author was there in front of me to sign it. My thoughts were that if someone mentioned they liked this author I could always make it a gift to them. The point is signed books sell. This reinforces the closeness and proves the personal contact a reader had with the author. 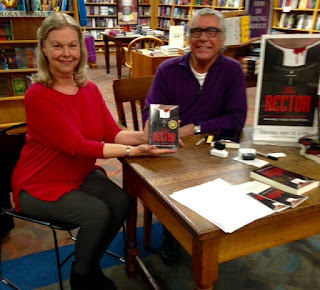 Author Steve Bradshaw, The Bell Trilogy, told me that book signings were his bread and butter. From there many more opportunities came which led to more sales. · New ideas. Having attended signings that included readings and personal contact with the author, there seemed to be discussions with the readers concerning the characters and the story line. The author hears such things as will the main character ever do this. Have you ever thought of the character taking off on a tangent to do this? Will there be a sequel? By the way the sequel to Michael Hicks Thompson’s The Rector, entitled The Typewriter, will be released this year. Feedback from the readers can make an author aware of how his work is seen and could bring great ideas to the forefront. It may lead an author in a direction not considered. Many times a reader will offer a new story or book idea for your consideration. So when considering a book signing go into it with the awareness that this is more than you meeting and greeting and selling your book. Prepare to form new relationships that could be lasting ones. Be aware of additional opportunities that may spin off this event. 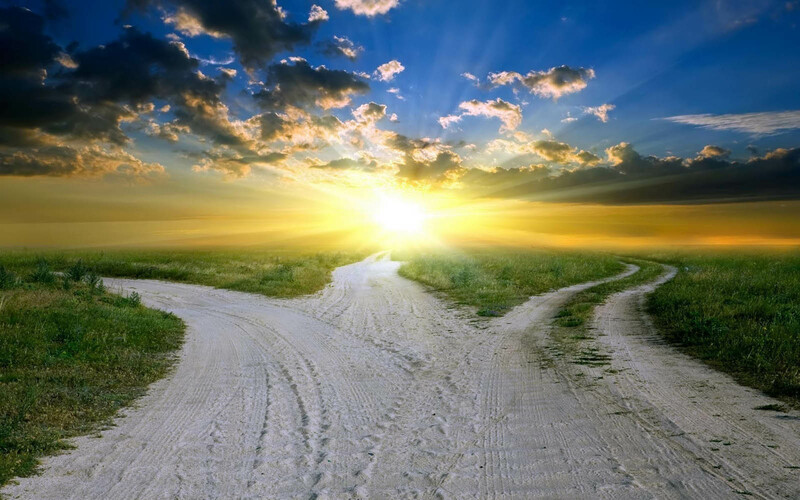 Be open to the path should it unfold before you. 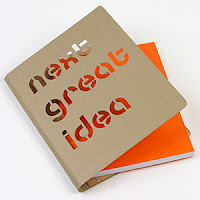 Keep a note book or personal devise nearby to jot down any ideas, story lines or contacts that may arise. Selling your book is definitely an important part of your book signing event but there other ways that may come along that can be just as productive and profitable to your writing career. Being prepared for and aware of these opportunities as they come could make each and every book signing productive. Remember the first time you shared a photo online? You carefully chose a picture of you and your spouse. Granted it was a bit grainy and maybe a little blurry, but no one minded, right? All they had to do was squint. Surely everyone knew it was you last summer on your honeymoon to Alaska. And now those photos will come in handy as you prepare your final draft from your Brides in Alaska series. Won’t those memes be awesome? Perhaps, but with today’s technology, grainy pictures are a thing of the past. According to research, we are now posting a little over 1.8 billion photos a day on the internet. That is incredible! With so much visual content out there, how can we stand out? What can we do to make our own content grab people’s attention, even using our pictures from Alaska, without the grainy and blurry effect? The wonderful thing with today’s technology is we have many photo options at our fingertips, including photo imaging programs. Best of all, many are free and you too can create exceptional images to share on your social media sites. With a little time and imagination, your pictures can garnish a second look, a like, or even a share. Below you’ll find five FREE image programs that I use on a weekly basis to create memes for my novels or any type of visual content that revolves around my brand as an author. Whether you want to make new memes for your upcoming release, share quotes from a novel, edit your photos before pinning them on your Pinterest board, or clean-up your pictures from your Alaskan adventure, these sites will help to create photos that tell a story — your story. I would love to hear what your favorite sites are for creating amazing visual content. Please share the links in the comments below! Facebook, Twitter, Goodreads, Google, or on Amazon. One of the most intriguing parts of any tale is the inciting incident. That turning point—when the main situation of the plot is set into motion—is when we find ourselves committed to the story to see how things are going to play out. By this point we've usually gotten to know the characters and their normal circumstances. Just as we've gotten acclimated, along comes the catalyst that turns everything upside down. In Back to the Future that moment comes when Marty escapes terrorists by speeding away in Doc Brown's time machine and finds himself transported back to 1955. In most cases, the inciting incident is something that happens to the hero, not something he or she causes. Even in The Hunger Games, when Katniss makes the decision to take her sister's place in the deadly contest, it is because she is forced by her own sense of duty to do so. In a romantic tale, multiple events will come along to complicate things, but it's the moment the lovebirds first lay eyes on each other than can usually be considered the one that turns everything topsy-turvy. How soon in the story it should take place will vary, but plotters generally agree that this catalytic converter should occur during the first quarter. 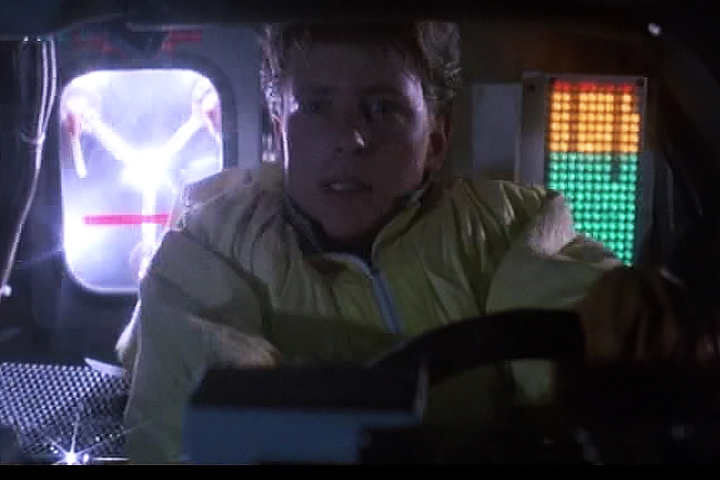 For example, in Back to the Future, it happens at exactly the 1/4 mark, 30 minutes into the two-hour movie. In The Hunger Games, it occurs only 15 minutes into the 2 1/2 hour flick. In a different kind of example, the Oscar winner American Beauty centers around Lester's midlife crisis, which is triggered by more than one thing, including a lousy job and a cheating wife. 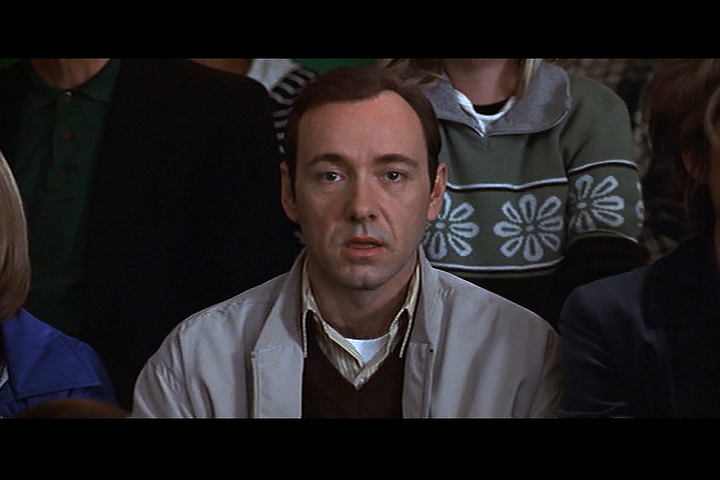 But the pivotal moment comes when he attends a school event and becomes enamored with his daughter's friend. Everything prior is setup. That inciting incident, for the record, takes place 15 minutes into the two-hour film. Basically, the inciting incident is the event without which the main story cannot happen. Doc Brown can invent a time machine, hunger games will take place no matter what, and Lester's unsatisfying life is already underway, but without these other key moments, the main crisis will not be inflicted upon the hero. The most effective inciting incident will cause the audience to wonder how in the world he/she is gonna prevail over this problem. 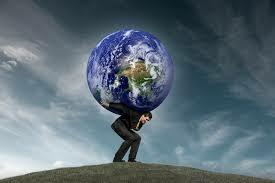 At the very least, it will set the stage for bigger crises to increase the dilemma later. Done right, this turning point will not only ignite the TNT of your story, but will become the no-turning-back moment for your reader too. Social media and posts from various Internet writing groups have made me aware lately of a race to keep churning out product. At the same time, I’ve been receiving e-mail notices offering “essential keys to acing story structure” and gaining a competitive edge if I will just buy this or that tutorial. Naturally, this marketing frenzy makes me ponder why I create stories in the first place and the process I use along the way. The first thing that comes to mind is something a noted college instructor from the Midwest used to tell his students. He believed the best way to generate a worthwhile tale was to try not to write. When and if the time came when you couldn’t stand it any longer, when you were haunted by a compelling what-if? Or unfinished business, that was the sign you were ready to begin. If so, I can only guess your subconscious must be busy testing and sorting things out until you reach a certain tension point. Something has been baking and stockpiled so that, seemingly out of the blue, all kinds of links start to appear. For me, this signal is a promise of never-ending discoveries once you set out on the path. For example, in my crime-and-blues novel Twilight of the Drifter, a couple invited my wife and me down to the backwoods of Mississippi. It seems Bob, the husband, had just inherited an old log cabin. While taking an exploratory walk, he and I got lost in the brambles and thickets until we came to a stream of water blocked by shattered fallen limbs. Not at all sure where we were, Bob said, “I think this here is Wolf Creek.” Soon after I learned there had been a Civil War skirmish close by along with a troubling Civil Rights episode some hundred years later. Back home in Connecticut, for no apparent reason, my wife decided she wanted to contribute to a homeless shelter. While there I couldn’t help noticing an abandoned box car rusting on the railroad tracks across the way. Some drifters were holding out there, I was told, until it became much too cold and they were forced to relent and come inside. By this time my imagination was off and running. I placed the box car in Paducah, Kentucky where a shivering runaway pre-teen by the name of Alice was hiding, blocking from memory what she had witnessed over the border up in a hunter’s blind above Wolf Creek. Josh, a homeless man, was also, in a sense, a runaway when, by chance, he came across Alice. Like me, Josh had never really stuck his neck out, never really faced danger. He just wanted to be a rambler and play the blues. It later dawned on me that he didn’t realize you had to earn the right to be a bluesman. And on and on the links began to evolve, connecting to the past and the present day—the Civil War and hidden secrets from the Civil Rights movement, the blues scene on Beal Street in Memphis, and a current political campaign for governor of Mississippi. I do wish Mister Lefcourt had taken my quest a bit more seriously. But still and all, the journey was self-generating, driven by a haunting set of circumstances, unfinished business and surprising moments of serendipity that led me from the hills of Connecticut, to the streets of New York, down to Miami Lakes and back again until this twisty conundrum finally played itself out. I wonder? Is it possible that the “essential keys” are built-in once you are truly ready? 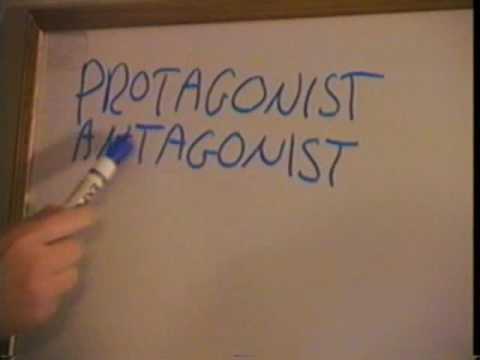 What’s a protagonist? I asked myself as I listened to New York Times Best Selling author, Cecil Murphy. (You can laugh go ahead). As a speaker, I was seeking clarity on a career in writing. Many ladies requested my teachings in book format. My apt reply, I am not a writer. As gleaned from writing royalty at the 2014 New England Christian Writers retreat, Cecil confirmed all my writing fears. He also encouraged me and gave me a challenge. I learned a writer’s life is one filled with rejection, hope and a calling. That weekend I knew I must complete my ministry by adding writer to my resume. Over the next twelve months I attend four writing conferences. I met many Best Selling authors and aspiring writers. I am compelled to share with you the top 5 truths I learned. I am confident that my writing career would have fizzled out after a few months if I did not apply these truths. Expect rejection – Thick skin is a must in the writer’s life. Jerry B. Jenkins, Cecil Murphy and Stephen King, along with many others, will testify that rejection is inevitable. Writing is a business, so when I received my first book proposal I was not shocked or dismayed. I high-fived my friend as she said, One rejection closer to a book contract. Attend conferences- Conferences are the best palace to learn and network. I sharpened my skills and gain new friends. Please don’t let money be an issue. I acquired scholarships for the conferences. Think of it as an investment in your career. You are worth it. Writing is a Job, not a hobby- The most successful consider writing a job. Whether part time or full time. My friend Lori Roeleveld works full time days and writes nights and weekends. If she was not disciplined she would not be published. 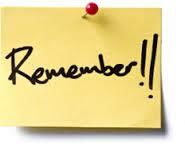 Always Learn- Conferences, college courses, along with books are great ways to sharpen writing skills. I take on line courses also. Some of these courses are free. Writing blogs give daily and weekly insite. 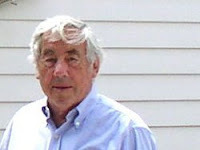 The Write Conversation by Edie Melson, Jerry B. Jenkins blog at his website, and Cecil Murphy’s Writer to Writer have helped me immensely. Read- I don’t have time to read if I write, I thought to myself. Then I learned that everyone from the Portuguese Nobel prize winner Jose Saramago to Stephen King state that reading is mandatory for the writer. Jerry B. Jenkins sums it up nicely; Writers are readers. Good writers are good readers. Great writers are great readers. I have a long way to go as a writer. My hope; best-selling writers still adhere to these 5 truths, so I will too. Are you following these truths? What would you add to the list? Readers are always looking for new books to read. An interesting and valuable social media venue for authors is BookTube. Bookriot gives a good basis for creating a BookTube video. Yes, you guessed it. It is an arm of YouTube. Some readers are becoming vloggers (video bloggers). It's a bold new world for authors. BookTube is a community of readers, who love reading and sharing their views. They have a variety of reading tastes in books. It provides a different approach towards all genres of literature. There is a danger on BookTube. While researching this blog post, I fell down "Alice's rabbit hole." The vloggers in BookTube are without a doubt entertaining and give authors a huge boost, unless your book falls into the "unhaul" section, but I'm getting ahead of myself. As an author, you need to consider approaching BookTube as the newest tool in your social media arsenal. START by making an account on BookTube. You need an account to find your favorite BookTubers in your genre. Most importantly, readers can find you. Make sure to follow them on their website, blog, Facebook, Twitter, Instagram, Pinterest, and Snapchat. Become video savvy. STOP. Don't panic. You can do this. Have fun with it. Everybody has to start sometime. Don't worry about the technical stuff. The video quality is all about what you say and do. The best thing to do is to be yourself. Garner attention by being unique and creating an enthusiastic skit. Have fun, and viewers will love it. Readers will love getting to know their NEW favorite author. Make sure you cross promo on your website, blog and social media links. Win Win for You! Bookshelf TOURS--showcase a BookTuber' bookshelves. You could show books that are currently on your bookshelves. Film in front of your personal libraries. Start with what books line your shelves starting with of course, your own books. Book TAGS--BookTubers are also fans of the TAG videos popular with other vloggers. Create questions pertaining to your books. Create a TAG that will resonate with a user who can associate with the topic. Book Hauls/Unboxings--Always popular are Haul videos. BookTubers also have their own version and share their recent book purchases. This is where you hope your books appear. It is also where you can support other authors by giving them a shout out and then send them a link to your Haul. BookUnhauls--BookTubers talk about the books they are going to sell or donate. Sometimes it's a slight critique but done in a friendly fashion. Book-Buying Ban--BookTubers scale back by putting themselves on a book-buying ban. Sometimes they don’t have enough time to read causing their need to declare a book buying ban. There are TV channels, on BookTube. One is "Epic Reads" by publisher HarperCollins. Washington Post critic Ron Charles, had the funny "Totally Hip Book Reviews." You can still view these to get a feel for a fun and successful attention-grabbing way to making a book video. Let me know if you're on BookTube. I will follow you. If you are not on BookTube don’t you think this will help you expand your web presents with a target audience, READERS?